Someone asked me the other day about the things that light me up. Once upon a time I might have struggled to respond to that question. But these days the answer flows easily. And while the list of the things I’m passionate gets longer all of the time, two items are consistently at the top of the list. The first, of course, is France and everything about it. And the second is travel in general and the planning that goes into that travel. I’m therefore especially happy when I’m planning a trip to France. For me, planning is absolutely a huge part of the fun of travel. I literally spend hours researching, reading and making notes. And right now I’m having the best time ever as we start planning to spend two months in France next year. Create a budget for the trip. Nothing adds stress to a vacation like having to scrimp because you are worrying that you will run out of money. Having a plan allows you to work out how much money you’ll need and, in turn, have the funds available. Make the best use of time while we’re away. So often you can lose valuable vacation time as you have to work out where you are going or what you want to do. Given how highly I rate planning, it won’t come as a shock to learn that I get fairly excited when new planning resources hit my radar. 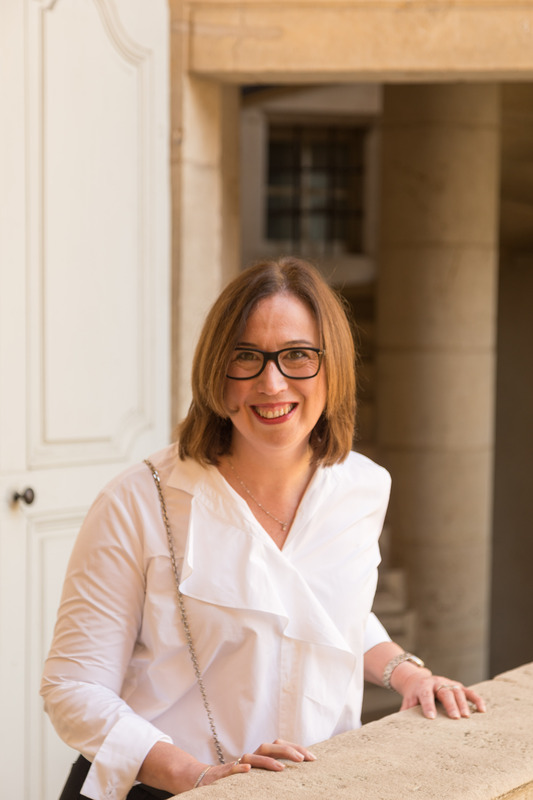 This happened recently when Jo from frugal first class travel announced the creation of a brand new Facebook group named Plan your trip to France. It is a lively group and it’s providing me with stacks of inspiration. If you’re planning a trip to France – whether it is your fifteenth or your first – I highly recommend you search it out. And for anyone who’d like a little behind the scenes look at how I go about planning a trip to France, I thought I’d re-share my own planning process. I keep a careful eye on flight specials. If we can get good a deal at a time when we will both be able to take leave, then we’ll take it. We often purchase our flights nine or ten months ahead of time to take advantage of these deals. Which also gives us the added benefit of plenty of time to plan. Once our flights and travel insurance are booked, the next thing I do is purchase a lined notebook – French themed of course. I make sure it isn’t too big so that it can fit in my handbag while we are travelling. I immediately start capturing every single idea – no matter how trivial – in the notebook. From recommendations from friends through to potential dining options and things I think I might like to buy…everything gets recorded in the book. If you are a little more tech savvy than me, you might like to capture your research on your phone, iPad or laptop. Eventually, we start to get a feel for the parts of France we’d really like to incorporate into the trip. But before we make any final decisions on the cities or towns we’ll visit we double check that the things we want to do while we are there are actually open. We’ve been caught out before by closed attractions on earlier visits and we really try to avoid that now. As things start to come together, I list the dates we will be away in my notebook. Next to each date I note the town or village where we are thinking of staying. That way I start to get a picture of how long we will be in each destination and how long I will need to book accommodation for. But before I start booking anything I check that we can actually get to where we want to go. We think about whether we will fly, take a train or hire a car – and if we are taking transport, we check the general travel times to make sure we can get where we need to go in a decent time frame. Sometimes you can’t get where you want to go in one day, depending on travel times, connections and what not and need to pop in an extra night as a stop over. Once we know where we want to go, and how we are going to get there we can start researching accommodation. We are a bit fickle when it comes to accommodation – we stay in a real mix of hotels and apartments. If we are planning to stay in a location for more than a week we will usually opt to stay in an apartment. But we do like to mix it up by staying in hotels here and there along the way too. When it comes to choosing where we will stay, we’re real fans of both Booking.com and Trip Advisor. While some of the reviews can be a bit ridiculous, generally speaking they give you an excellent idea of whether the accommodation will be a good fit. We prefer to book our accommodation early for two main reasons. Firstly, we know we have somewhere to stay. 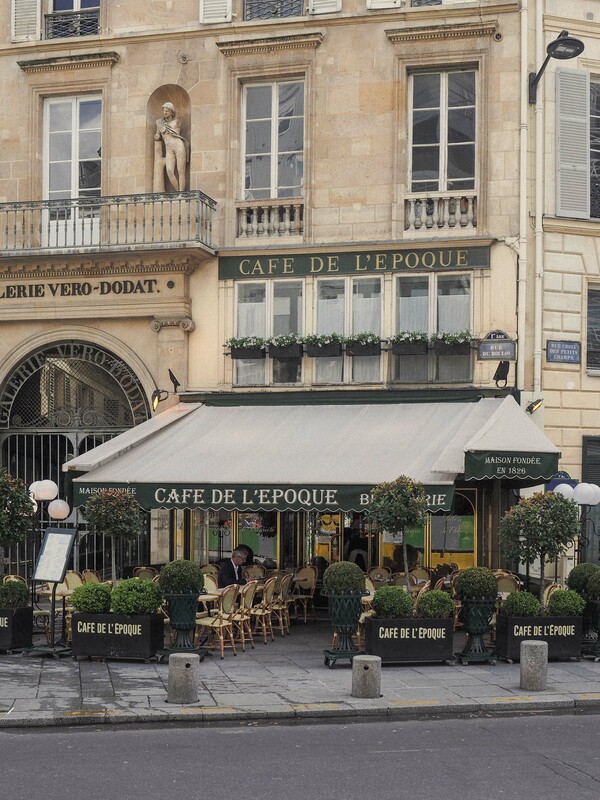 Many parts of France are extremely popular, and the best accommodation choices often book out very early. Secondly, it allows us to know exactly how much you need to save – it makes it easy to budget (more on that in an upcoming post). We tend to go with ‘pay later’ options unless the prepay deal is spectacular simply because it delivers greater flexibility in the event we need to change our plans. While I’m on the topics of accommodation and flexibility, if there’s an apartment or a hotel you really, really want to stay in, book that one in first. If it turns out you can’t get your first choice of dates, you might decide to change your dates or plans so you can get your choice of accommodation. We did this when we wanted to stay at Vicki Archer’s Le Petit Bijou in Saint-Rémy-de-Provence. The dates we wanted to stay were booked out (even though we were inquiring about eight months ahead of time) so we altered our travel plans to allow us to stay in a place I’d been promising myself I’d stay in for years. At some point in your organisational experience you need to consider booking your transport. Internal flights are relatively straightforward however if we are travelling by French rail, we start booking our travel about three months before we travel to take advantage of better prices. You can read more of our rail travel tips here. If we are hiring a car, we generally leave this until closer to our travel time. Usually about a month before our trip, we start to book in any of our ‘must go to’ restaurants. If you are looking to do a Michelin starred experience you might want to book that about three months ahead, particularly if you are looking for something special like a window seat. There are a number of reasons that we choose book activities prior to our trips. Sometimes it is because we (I) don’t want to miss a high end spa experience. But mainly it’s because standing in queues seems like a dreadful waste of precious travel time! Many attractions in France allow you to book and pay online for a window of travel dates which still allows some room for spontaneity while you are travelling. Before you leave make sure you take copies of all of your bookings or confirmations. It doesn’t matter if you do this electronically or on paper. We also take a copy of our important documents, just in case something goes missing. But we follow some advice we received years ago and don’t email those documents to ourselves, just in case our email is compromised. I’ve been given feedback in the past that my planning style is bit too full on and that I don’t leave enough room for spontaneity. I guess I should point out that while my planning approach is quite detailed, I rarely have every day of our trip pre-planned. We are on vacation after all and a little bit of flexibility is always required. Having said that, I’ve never once regretted having my plans locked in. Those plans tend to ensure that we make the most of our time in France. Do you have any travel planning tips? I’d love for you to share your advice in the comments section below. Before I was married, I ran around Europe frequently, sometimes with friends from back home in tow. One of said friends liked to be completely spontaneous. We definitely ran into some problems with that, getting someplace and discovering that everything was closed for holidays, including the hotel we had hoped to drop in on. After that, I insisted on booking our lodgings at least a day before. While it’s true that if you find a spot you love, it’s great to be able to stay a few more days, or if there’s a town that just doesn’t thrill you, you can get out (in one day we had two different sets of guests arriving at our rentals from Toulouse–which both fled early, separately, for different reasons…personally I like Toulouse, but then again I can understand some of the disappointment, since it’s a major city with all the hassles that involves). I have encountered quite a few travelers spending 1-3 nights in a place before moving on. That does offer some benefits, but I think it’s great to stay in one place and do day trips out from there. You get more of the feel of a place, you spend less time packing up and moving, you probably sleep better because you get used to your “new” bed…. Thanks so much Catherine. I’m definitely a fan of stopping in one spot and doing day trips. Our longest stop was 15 nights in Lyon back in 2014 and we saw so much of France from our central base. Hi Janelle, I love your tip about jotting everything down in a separate notebook before you go , restaurants, sights etc. . I already have a notebook that is 12 years old & a bit of a jumble of different sights/cafes etc to see in many countries!! your idea sounds much more organized , one book per trip!! I will be buying said notepad immediately !! I am an avid traveller & have been travelling to mostly Europe & then mostly France Italy Greece & Spain (in that order ) for 12 years . I have been to Paris numerous times & am currently in the early stages of planning our next European jaunt very late August through September , returning early October. We love to linger in places for 5 days to a week just soaking up the local atmosphere & have met many people & had many lovely experiences “slow travelling” like this. We will finish in Paris as we always do. I joined Jo’s frugalistas & am currently looking for business class deals as I just want to travel now in as much comfort as possible , at 62 I think I deserve it ! Like you we book apartments, B&B’s & hotels & I must say I have found VRBO & there affiliate Homeaway excellent sites. We have had fabulous accommodation through them in Paris especially. I have used Airbnb at times & have found them fine . Booking.com are my main booking site & tripadviser as well. We have never had a problem, but I only ever book highly recommended places with flawless reviews. Thanks for all your hints & tips, as much as I feel I am an experienced traveller I love learning from other travellers who have travelled as much as or more than myself. I am never too old to learn , so thank you again. I saw your page for the first time yesterday on Jo Karnaghan’s page. I totally agree with your planning style. I lock in the key points that I intend to cover and then fill on the blanks as I go along. That way I am sure to cover what I really want to see on each visit. I just “followed” your page and look forward to future postings from you. Thanks so much for reaching out Judy. It sounds like you and I have a very similar planning style!! It has certainly ensured we’ve had some amazing trips to France over the past decade. In the process of planning my September 2019 trip. I already have a spread sheet I keep on my computer to track what I want to see and do on this trip. As always there are favorites that I want to repeat, but also found some new ideas I want to explore. Already booked airlines and two of my three hotels. Look forward to following your page for some more new ideas.